Made with 100% organic coconut and pureed to a creamy paste. 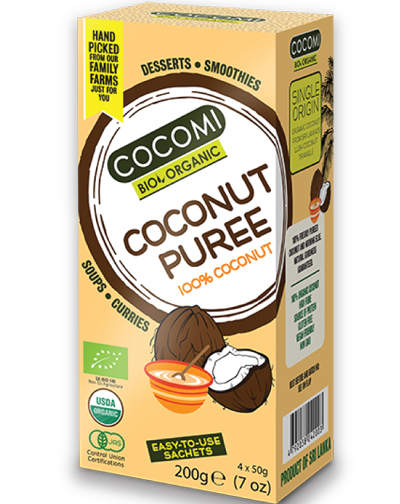 Perfect for plant-based diets and a great source of healthy fats with>60% coconut oil. The puree adds an authentic coconut taste and texture, and provides a perfect base for your everyday recipes. Available in easy store sachets for easy, coconutty cooking. Ideal for: Curries, Sauces, Smoothies, Ice cream, yoghurt, baking and confectionary.